As you may have seen, the website has not been updated in some time now. 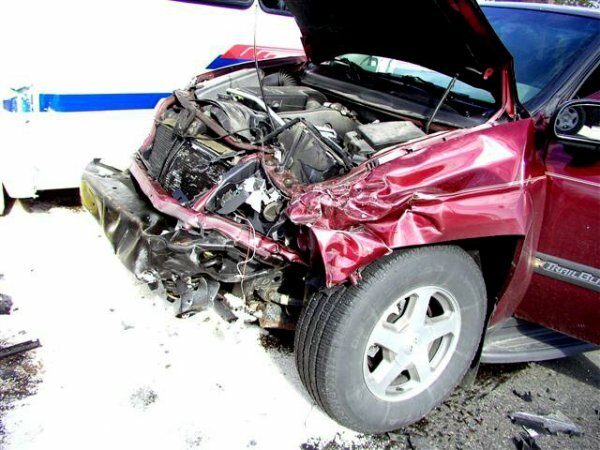 The reason for this is due to the fact that I was involved in a serious accident back on May 24th, 2006 at about 8:10 am. I had gone to work on the morning of May 24th and did my walk around, then proceeded to leave for my day's work that lay ahead of me. I had stopped at the light that leads out to HWY 6 from the HSR building (in Hamilton) waiting for the light to turn green. When the light turned green I proceeded to make a left hand turn onto HWY 6, heading North. From this moment on I do not remember any details of the accident. Apparently, from what I learned there was a woman in the curb lane approaching the light at a high rate of speed that went through the light without stopping at the time I was making my left hand turn. She struck the bus I was driving at about 50 to 60 MPH without applying the brakes at any point. 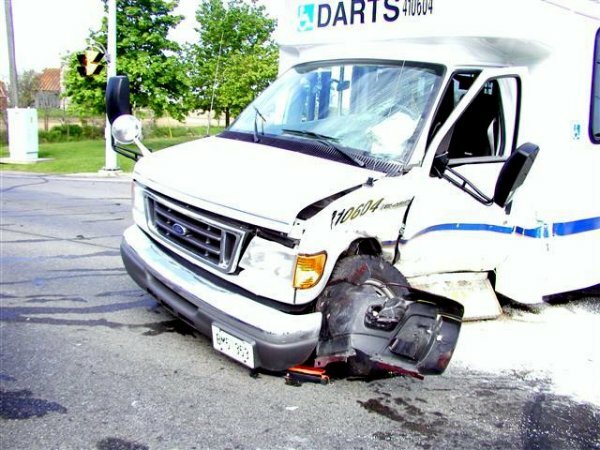 She had struck the drivers door of my bus, pushing it about 4ft. I've been told they found me in the stairwell on the passenger side in a fetal postion with massive bleeding from my head. 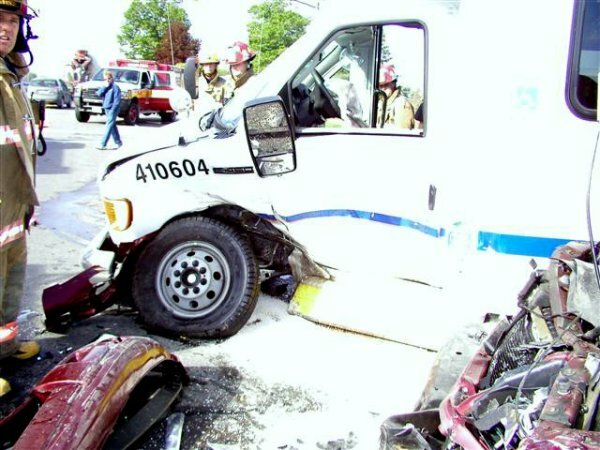 Two OPP officers on their way back to the Burlington office that morning had witnessed the accident as well as two nurses heading into Caledonia for work. Back on May24th, 2006 my guardian angel was with me, or maybe it was not my time yet. In any case I consider myself lucky that I did not see what was about to happen, for if I did things could have been worse. 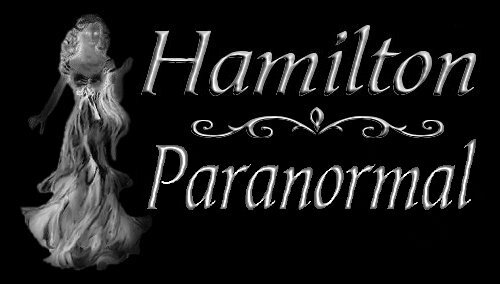 I recieved 5 broken ribs, a herniated disk in my neck, cuts to my legs and face as well as bleeding on the brain when I was rushed to the Hamilton General Hospital. The OPP as well as hospital staff had mentioned to me that I was lucky that I did not die and walked away with what I did. I was unconcious for about 45 minutes. When I came to in the hospital not realizing what had happened, the first person I saw was an OPP officer. The recovery has been a slow and painful process. And I'd like to publicly thank all those that had a hand in my recovery. As of today, OCT 28th, 2006 I should be returning to work in about a week. I hope this explains to some point why the webpage has not been updated in some time. I am happy to know that alot of the followers to the site were concerned about my well being. Below are some photos that were taken of the accident. As seen in the above photo you can see where the lady had struck my door, with part of her bumper still under the front end of the bus. 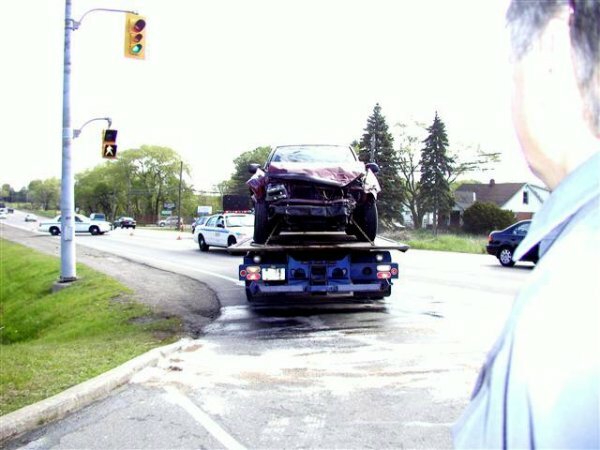 In this one you can see what was left of her car. The lady walked away with only a bump to her knee, a banged up arm and a scratch to her nose. A better look at the bus looking directly at it, with the bumper wedged under the front wheel. 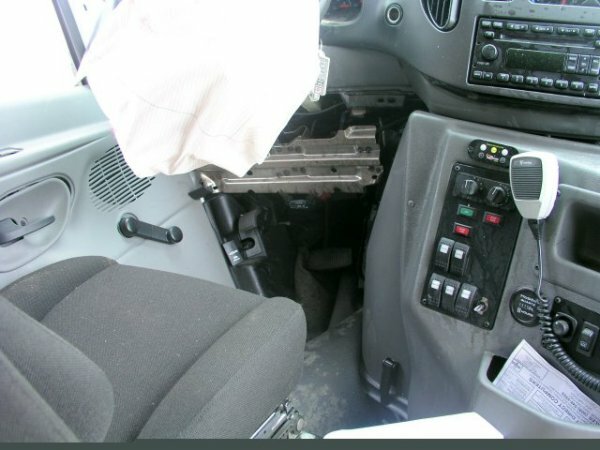 An inside view of the bus with the front floor pushed up and the airbag deployed. 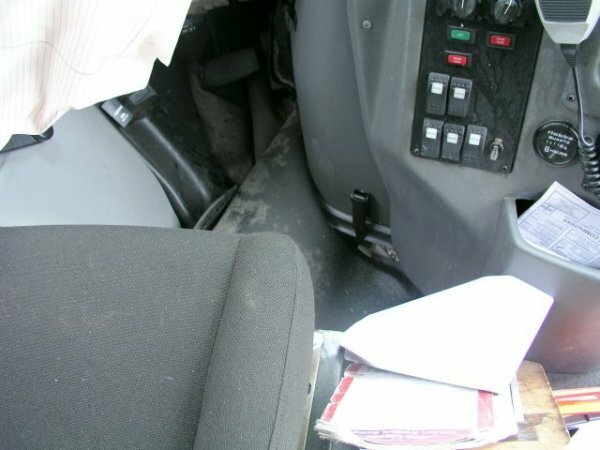 Another view of the cab of the bus. 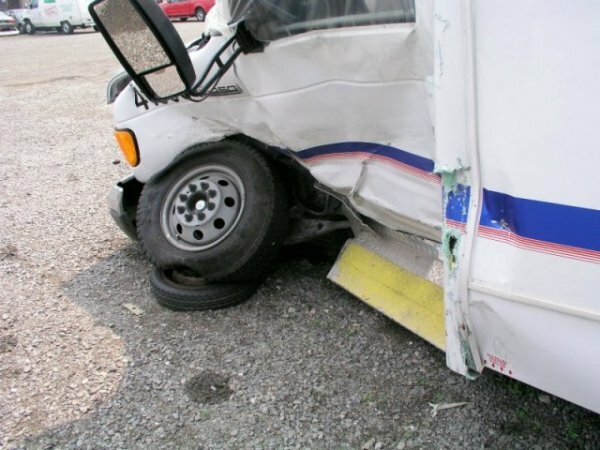 The bus was a total write off as seen in this picture. I have conducted a few investigations in Sept and Oct at the Griffin House. Updates to follow soon.